Fighting along America’s burgeoning railroad companies was common among those vying for the best tracks. While most of these disputes occurred in the courtroom, during the last quarter of the 19th century, some of these arguments turned violent, as armed men engaged in physical conflicts to secure railway tracks that would reach America’s growing towns. In the 1870s, two railroad companies—the Atchison, Topeka, and Santa Fe Railway (ATSFR) and the smaller Denver and Rio Grande Company (DRGC)—engaged in a battle to put their tracks over Raton Pass in northern New Mexico, just over the Colorado border. The ATSFR hired gunfighters, forcing the DRGC to hand over the pass and end the squabble quickly. However, when gold was discovered in Leadville the following year, the two railroad companies found themselves at odds again. 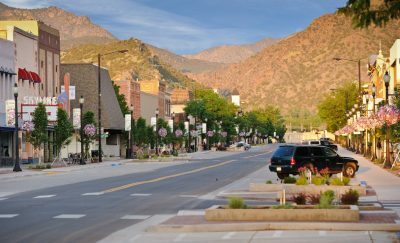 This time, it was over the prized route through the Royal Gorge, which would then lead up the Arkansas River Valley and into Leadville. At the time, the ATSFR had tracks in Pueblo and the DRGC had tracks in Cañon City. 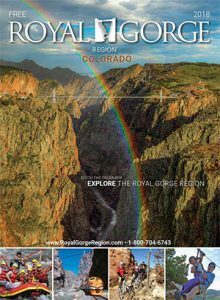 The Royal Gorge, however, presented an impossible barrier with canyon walls measuring 1,250 feet deep. This meant there was only room for one set of tracks along the gorge’s floor. This time around, the DRGC hired gunfighters, too and the two companies battled again, with forts being set up along the canyon’s floor. However, in June 1879, federal courts ruled in favor of DRGC and sheriffs in towns along the rail line joined forces with them until the ATSFR surrendered their claim. 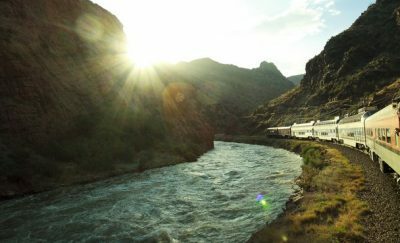 Today, the tracks are used by the Royal Gorge Route Railroad, which offers scenic train rides through the Royal Gorge.